Since establishing the Law Office of Crystal L. Gayden in 2009, my mission has been to head a dynamic, client-focused organization aimed towards growth. Now, as I look at the progress I have made and the number of people I have helped throughout the state of Texas, I can confidently say that I am continuously succeeding in this mission. 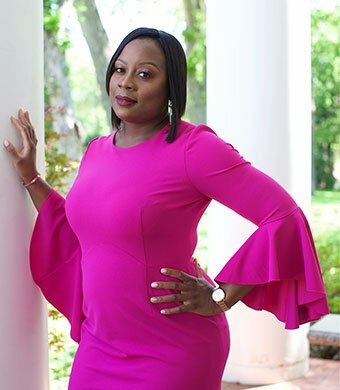 From the moment I founded the Law Office of Crystal L. Gayden, I have been dedicated to helping clients understand their options while working aggressively to attain their ultimate legal goals. Although I can never legally guarantee any certain outcome, my track record of success speaks for itself. My clients are my number one priority, and it shows in my work each and every day. The Law Office of Crystal L. Gayden is a full-service firm with a primary focus on family law matters. I am extremely community conscious, compassionate, and always happy to work with those who are of the same mind. My boutique law firm offers innovative and practical solutions to your legal matters. I assist clients in achieving their personal goals, and I pride myself on promoting amicable and peaceful resolutions to any legal issue no matter the complexity. Given my extensive legal experience, I have a thorough understanding of Texas law. I work hard to help my clients through a number of legal concerns, including those that pertain to child custody, divorce, property division, adoption, and criminal law. Below you'll find more information about three of my core practice areas. "I am committed to providing you with reliable service." When you are going through a divorce, the well-being of your children is always a top priority. I have significant experience in all aspects of child custody law and am dedicated to protecting your right to raise your child in a healthy environment. Dissolving your marriage can be overwhelming. There are many decisions to make, like child custody and spousal support. If you choose me as your divorce attorney, I will advocate for the best interests of you and your family. Because Texas is an equitable distribution state, it has its own set of rules when it comes to matters of property division. I will use my knowledge of Texas’s property division laws to fight for a settlement that is fair and fitting of your case. When you retain the services of the Law Office of Crystal L. Gayden, you can be assured that your attorney is fully qualified to take on your case. If you need assistance with a family law, adoption, or criminal defense matter, I encourage you to reach out today. 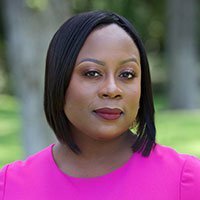 The Law Office of Crystal L. Gayden is a respected law firm advocating for clients in Child Custody, Divorce and Modification cases. Based in Fort Worth, I am familiar with the courts throughout all of North Central Texas. Beyond that, I have the necessary skill to help real people resolve a number of legal problems. With more than 7 years of experience, I am focused on your success. Please read my profile to learn more about me and my professional background.